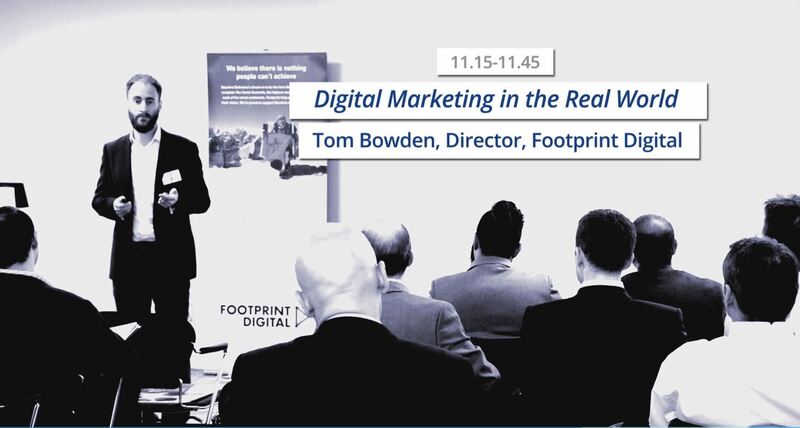 On 21st September, Footprint Digital got involved in an exciting morning-long event, aimed at helping recruitment businesses to learn how to structure themselves in order to scale. It brought together some brilliant minds from several different fields, all of whom can have a hugely positive impact on recruitment agencies. As well as our very own Tom B, other speakers at the event were Marie Pegram, Partner at UHY Hacker Young; Dave Pye and Mark Constable, Directors at NextGear Partners; and Oliver Weiss, Partner at Blake Morgan. Dave Pye and Mark Constable took to the floor first; as business consultants their key role is to help businesses understand how to create value and scale up. Dave spoke about the Cadence Model of business, a business model developed by NextGear which guides companies through the five specific gears of scaling up. Mark offered some fantastic advice to the recruitment businesses in the room – simply saying that business owners can get so blinkered by focusing on quarterly revenue that they forget to look at the rest of the business – and if they do this they’ll eventually hit a wall. Instead of being so focused on revenue, they need to take a step back and look at the bigger picture, allowing themselves the time to fully understand what their end game will look like, and then putting the right structures in place to make that happen. It’s all about slowing down to eventually be able to speed up, rather than rushing things and regretting it in the future. One of the things that Marie sees a lot in recruitment businesses is that they’re raring to go, and just want to sell, sell, sell. As recruiters, sales are obviously incredibly important, but by getting wrapped up in simply wanting to sell, recruitment agencies are often not thinking about how they plan to sell. The planning is key. She posited that these businesses need to think about what selling actually means to them, and what their vision is. Once they have that vision, they can put in the plan and the infrastructure around that vision to be able to achieve their sales goals. By surrounding themselves with businesses who can help in specific fields, such as UHY Hacker Young, recruitment agencies can focus on what they do best and trust that these other businesses will provide the right expertise to fill in the gaps. Oliver was next up, with the talk ‘Legal: Pre-empt to Prevent’. He explained that although a lot of recruitment businesses might find legal support confusing, if they find the right legal team, interacting with them in the right way and educating them, then they can have an extremely fruitful and positive relationship. Tom B rounded things up with a talk on digital marketing in the real world. Tom believes that businesses can achieve anything that they want to, as long as they put the right team in place to support them in their vision. He spoke to the room about the marketing role, and how it should be structured in order to build a business that is an asset. Often, the problem is that marketing roles are not clearly defined, and businesses are getting these roles wrong by packing them with far too many things, leaving marketing managers swamped and doing things that they are not good at. The best thing to do is to connect with specialist companies that can help with aspects of marketing. The concluding thoughts from the day’s presenters were that the audience responded really well to what was being said. There was a lot of energy and participation in the room (which is to be expected from recruiters!) and people seemed to really be taking the advice on board. The main takeaways from the day were that recruitment agencies should be okay with the fact that they cannot be good at everything, and should bring in support in areas where the specialist skills that they don’t have are needed – such as in digital marketing. It’s also okay to slow down the pace, taking stock and thinking strategically about future goals and visions, and taking the time to put infrastructure in place for these things.